Good morning everyone, Birgit here with you today! I enjoy feeding the birds and all the other little critters that come into our yard to dine on the sunflower seeds I put out. 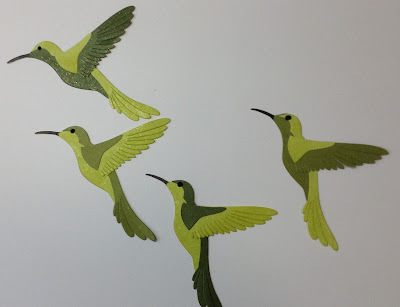 I especially enjoy the little hummers that visit our hummingbird feeders. Watching them fly up, quick as a dart and hover at the feeder while they sip the sweet sugar water, they make me think of little air dancers. 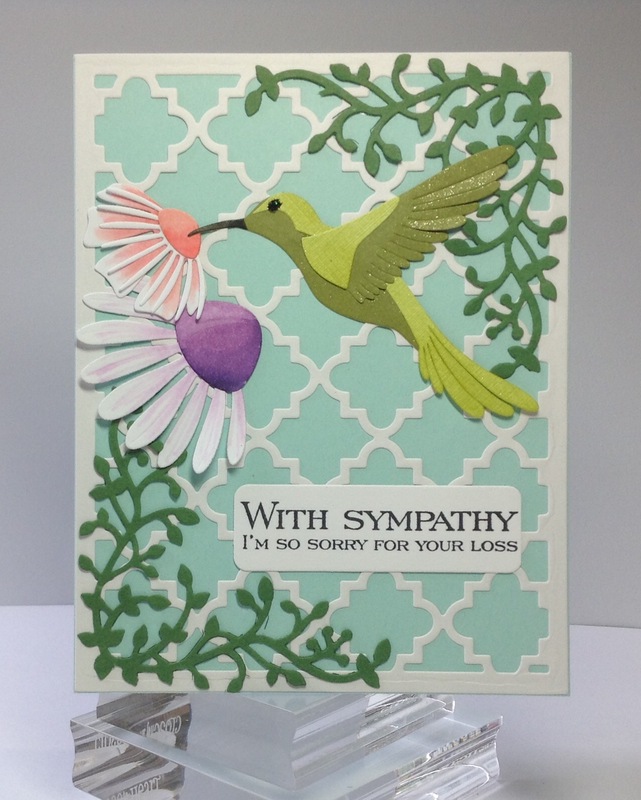 With that said, I have a few cards for you today featuring the Small Hummingbird from Dee's Distinctively Dies. Aren't they pretty? And they go together so quickly! I cut two sets of the hummingbirds out using two different shades of green card stock and added some Tim Holtz distress inks around the edges of each piece. By swapping up the colored pieces of each bird, this made four hummingbirds. 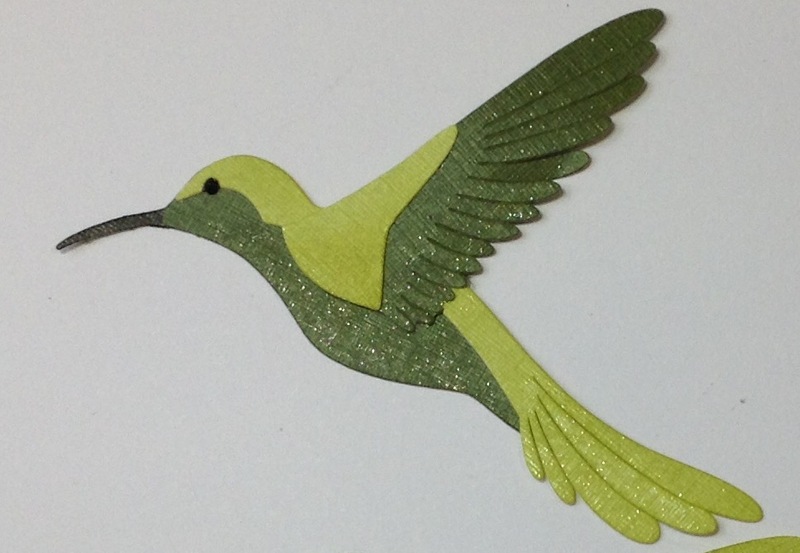 After assembling them, I added lots of Clear Wink of Stella to their underside and the tips of their wings. I added a drop of black Stickles for their eyes. Next I moved on to the flowers. 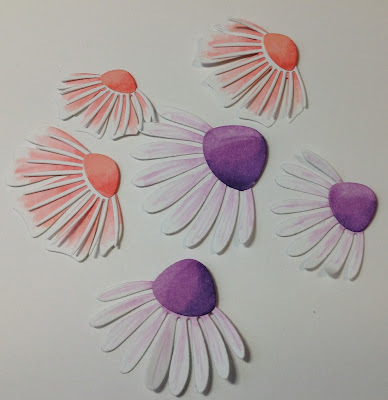 The flowers are cut using Dee's Distinctively Dies Secret Garden Flower #3, #2 and Secret Garden Flower #1, colored with copics, then layered. 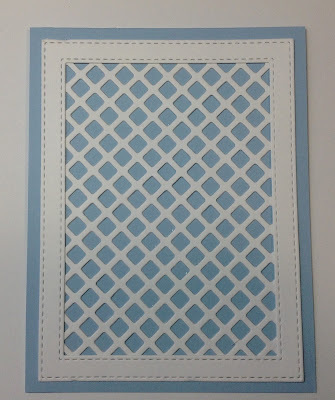 Finally I made the base by cutting a Spellbinders Lattice and the outer frame from from Impression Obsession All In One Frames ~ Rectangles and layering the two to make this pretty framed lattice. I layered that on the top of a light blue card stock base. Your collection of cards are just gorgeous! 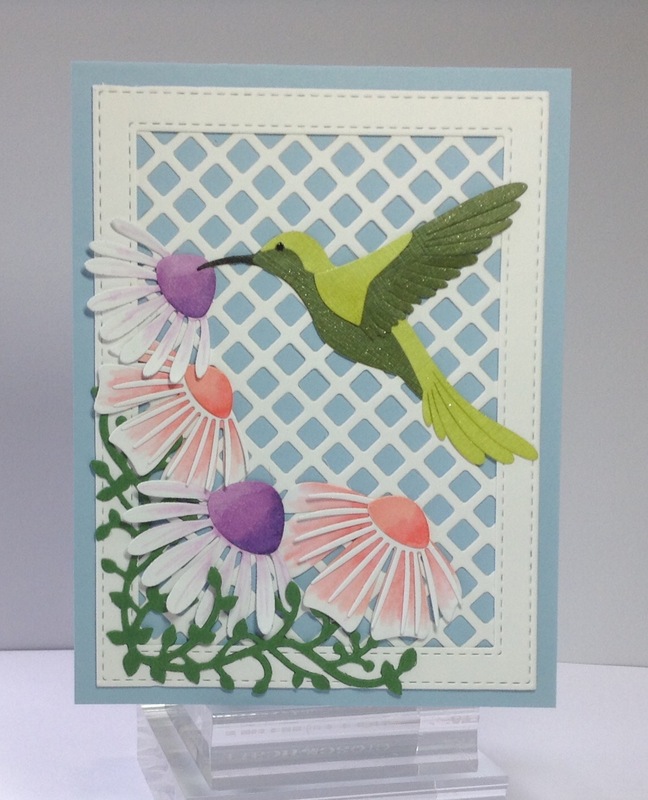 The hummingbirds look so real, and I love how you've captured them hovering by the beautiful flowers. 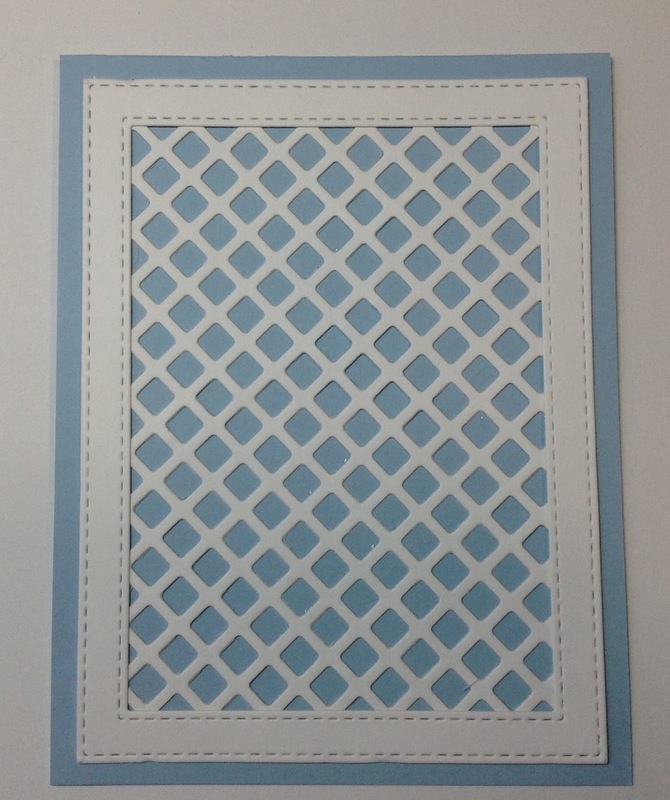 The lattice dies make great backgrounds for the pictures you have created. Absolutely fabulous! I adore your hummingbirds set against your flower strewn lattice, just like looking out a window! I might have to get those flower dies, they're beautiful! 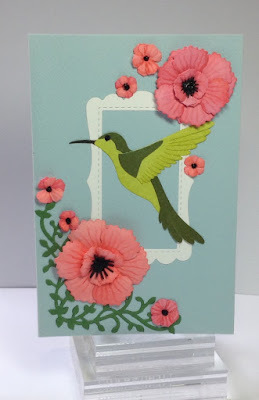 You made such beautiful cards with the combination of dies..........love your background, bird and flowers.